Since completing her Foundation Degree, Sue Fish has been exploring street maps for inspiration ~ particularly medieval street patterns within walled towns such as Chichester in Sussex, and Mdina in Malta. 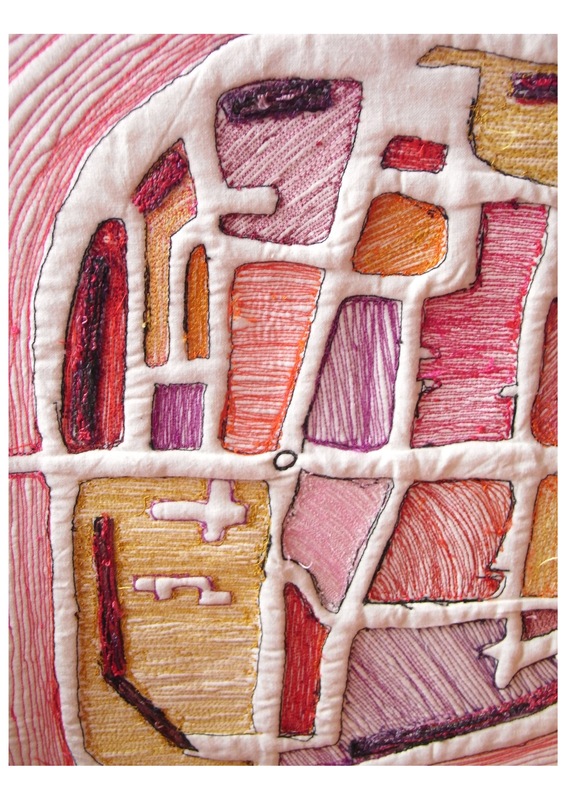 She enlarges the street map and develops the pattern with free machine embroidery. Sue is still attending Eastleigh College for Contemporary Textile workshops and Red Hot Press in Southampton for printing sessions.